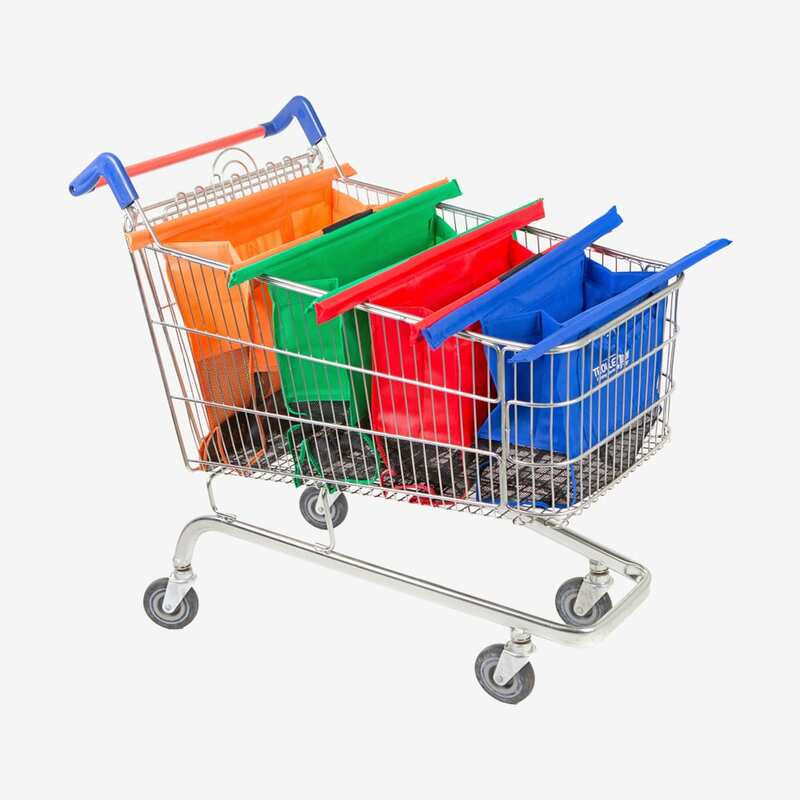 This bundle comprises each of the Trolley Bags products, making you the ultimate shopper. 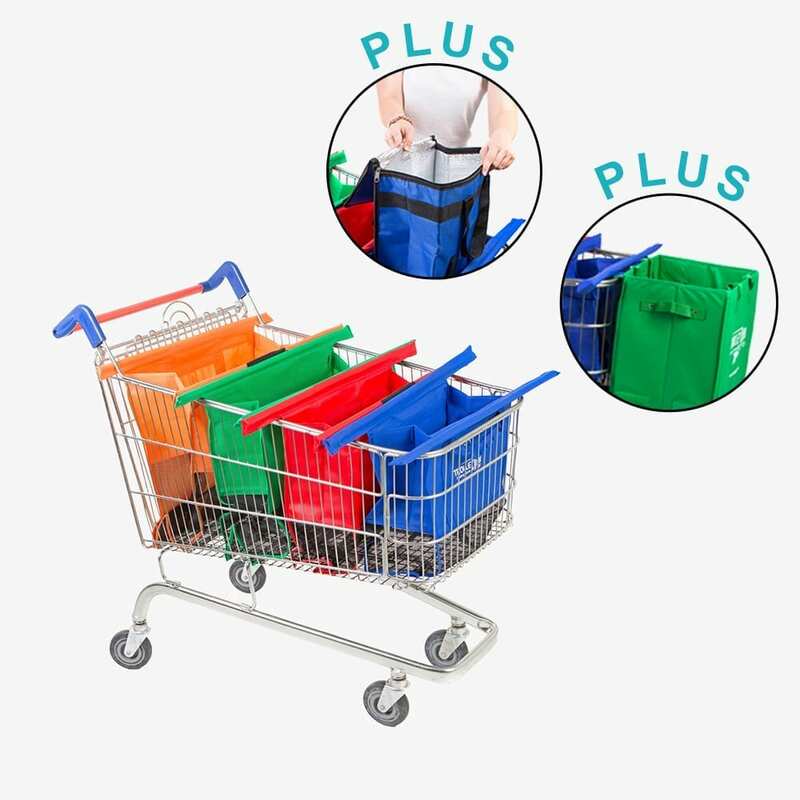 With a set of the classic Trolley Bags, a Trolley Bags Cool Bag and an Xtra Bag, even the largest of shops can be packed with ease. 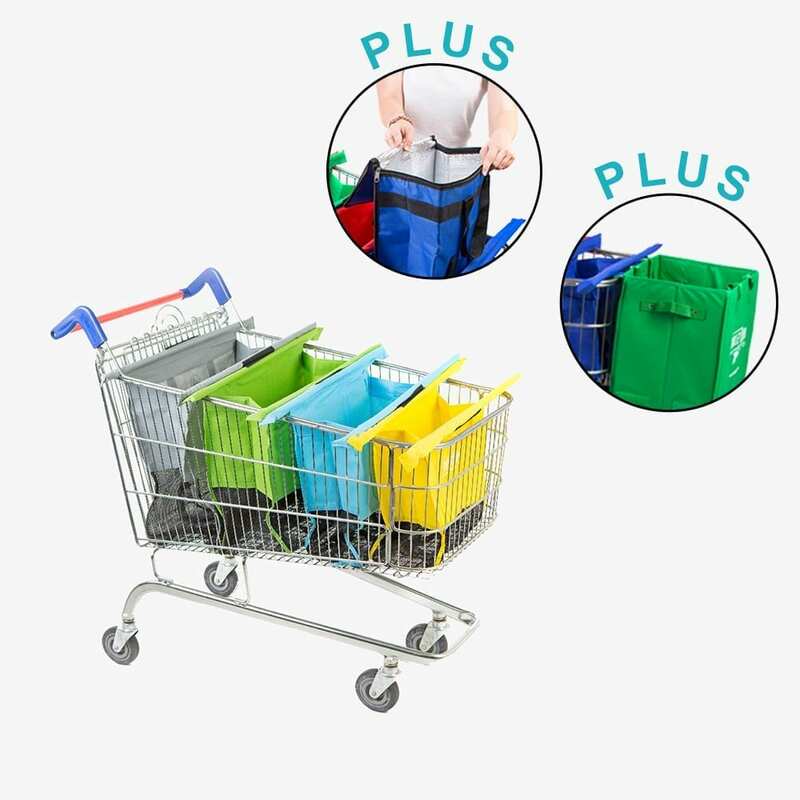 Trolley Bags Original are a system of four reusable shopping bags that are used to pack your shopping at the supermarket checkout, sized to fit larger deep trolleys. 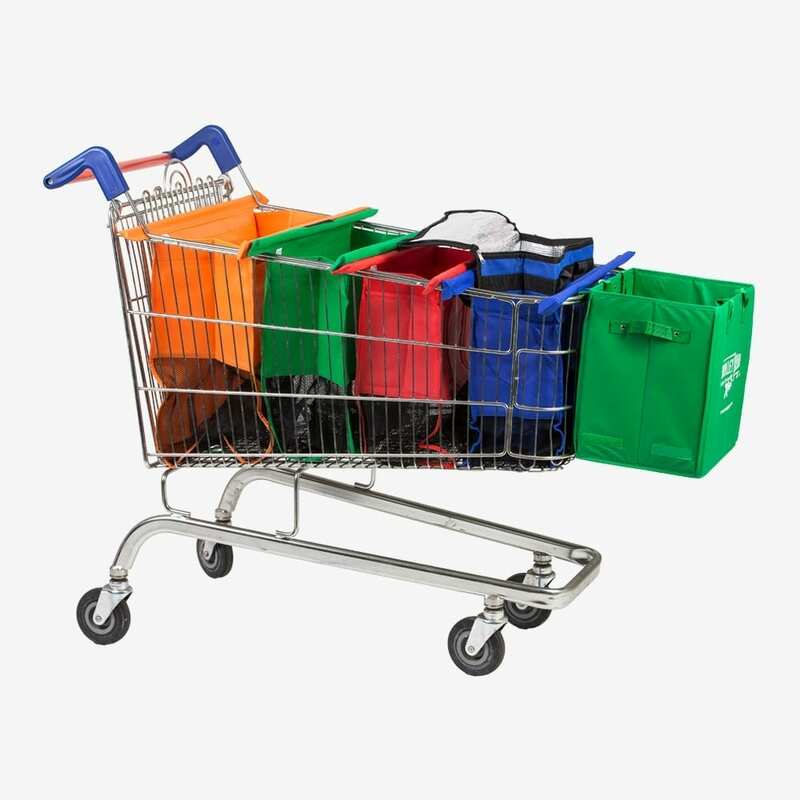 In one simple action the Trolley Bags system spreads out and rests on the deeper supermarket trolleys, giving you a series of open and upright bags into which you can pack and sort your shopping with both hands. Each durable bag holds up to 15kg and are designed to make your shopping trip easier and more convenient. The simple system can halve the time at the checkout as packing is quicker and easier without the hassle of holding bags open. 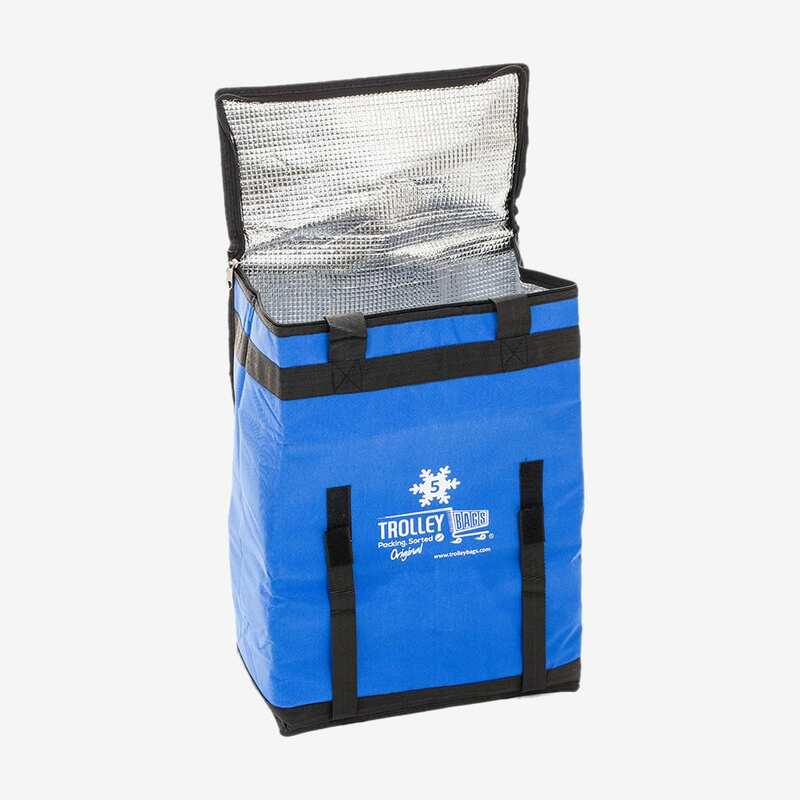 Trolley Bags Cool is designed to fit perfectly into Bag 1 of the Trolley Bags Original Sets. 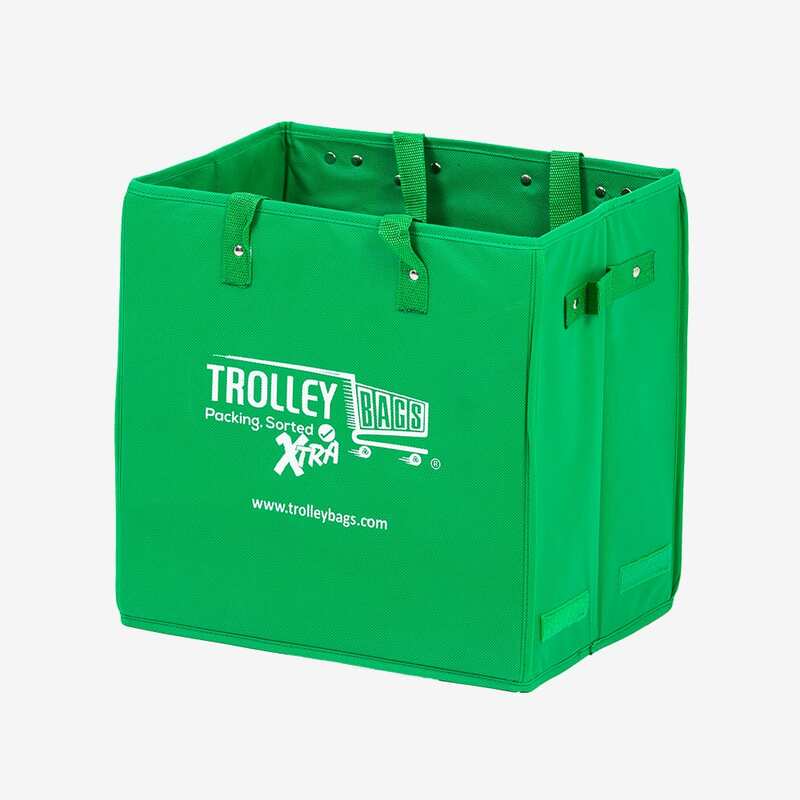 It rolls up into a neat package for you to take into the supermarket with your Trolley Bags Original. Once you’ve open your Trolley Bags Original at the checkout, place Trolley Bags Original Cool into Bag 1. You now have an insulated bag you can fill with all your cold items. Once full, the bag can be zipped up and removed from the trolley with the Bag 1 handles. 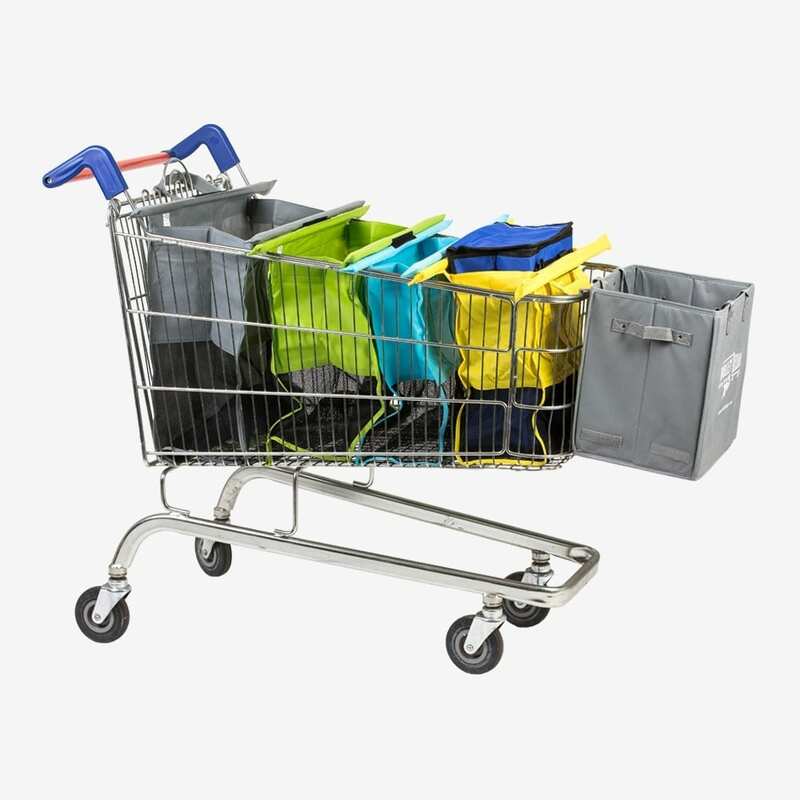 After use, the Trolley Bags Original Cool can be easily folded back up, ready for your next shopping trip. our second set, previously bought from high shop, used three years and with no problems, but wear off. This set includes extra cool bag and front trolley bag, both clever and good quality, as all set. Fantastic option to shoo with ease, especially with Asda “Scan&Go” service and similar. I saw a couple shopping in Lidl with these bags and thought what a great idea, I ordered the full package including the box bag and freezer bag. They are so convenient to use, living rolled up in the back of the car between shopping trips, the box bag is used to hold miscellaneous stuff from rolling around in the boot and hangs off the front of the trolley for those really big shops. remove them until I get home. Also when doing a big shop on your own this method of shopping is so easy. Wonderful!!! Saw these on line and we just love ’em. We bought a small and large set for each family member for both a big and small shop. We just use a single bag on a tiny shop. We then bought 4 × spares to keep for those last minute presents when you can’t think of an idea for a good present. Now all our friends have them too. I hate paying for carrier bags!! We just bought another set of 4 to restock. Also love the way you can pack these. Something you cannot do woth a carrier bag. I am so glad I brought them. Shopping is so much easier. I open them up in the supermarket trolley and place my shopping in them as I go along. It makes it easy at the checkout as I have my items packed before I get there, and know after they have been checked I only have to repack them away in the bag they came out of. Shopping is a pleasure now.